FMAV is the audiovisual and event technology company for people who plan meetings and live events. We believe strongly in approaching events with a clear sense of the objectives our clients want to achieve and through education we can all elevate the conversation. As the largest independent audiovisual firm in Canada, FMAV has more than 250 staff across seven offices from coast to coast, including Vancouver, Calgary, Edmonton, Toronto, Ottawa, Montreal and Halifax. For more information, visit fmav.ca. 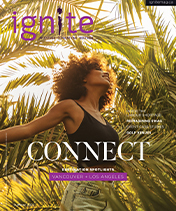 Ignite will be giving away complimentary education passes to the industry’s top events! Learn more about each event below and apply for the ones that will benefit you most. Each application will be reviewed and a volunteer committee will select the winner(s). Click on the green button next to the event listing to apply. Share with us the top three reasons you want to attend the event. One application per person, per event. Please pay special attention to the application deadline for each event. After an amazing experience in Indy, it’s time to turn our attention to WEC19 in Toronto. A true cosmopolitan mosaic, Toronto is the ideal setting for creativity, collaboration and community—the cornerstones that make WEC the can’t-miss event year after year. MPI’s World Education Congress welcomes over 3,000 meeting professionals annually from around the world. Toronto is excited to be the chosen destination for 2019! Meeting Professionals International (MPI) is the largest meeting and event industry association worldwide. Founded in 1972, MPI provides innovative and relevant education, networking opportunities and business exchanges, and acts as a prominent voice for the promotion and growth of the industry. Stay tuned, winner of one (1) pass to attend WEC to be announced shortly! Join 600+ Administrative Professionals from across Canada for this annual conference, designed to inspire, upgrade your skills and connect you with like-minded professionals. Ready to tell us why you want a free pass from Ignite? In partnership with FMAV, Ignite is giving away one (1) pass to attend APC! In its 6th year, we will host the event July 17-19, 2019 at the Brookstreet Hotel in Ottawa. Ready to tell us why you want a free pass from Ignite? In partnership with Engaging Associations Forum and FMAV, Ignite is giving away two (2) passes to attend Engaging Associations Forum plus a 1-night stay at the host hotel for each winner! The Canadian Society of Professional Event Planners (CanSPEP)’s Annual Conference is the association’s signature event that attracts professional event entrepreneurs and industry suppliers from across the country. The conference's focus is to deliver innovative business skill development and education topics that serve the business owner in this niche market. This key event also provides members with the opportunity to network with each other and suppliers to discover and strengthen business relationships. Ready to tell us why you want a free pass from Ignite? In partnership with CanSPEP and FMAV, Ignite is giving away two (2) passes to attend CanSPEP Conference! Eager to become a Certified Event Designer (CED)? Learn how to apply design thinking with the #EventCanvas, facilitate your team through the process and articulate the way your event creates value strategically or just approach events in a different way. The Event Design Certificate Program is an immersive 3 day training course + 6 month coaching. The 2019 Canadian Innovation Conference, (brought to you by the PCMA Canada East Chapter, in partnership with the PCMA Canada West Chapter), is designed to meet the needs of meeting and event professionals and suppliers whose organizations are engaged in providing services related to the conduct and operation of meetings, conventions, seminars, exhibits and trade shows. Experience the high caliber of educational content that PCMA is renowned for in an environment customized to the Canadian market. You can earn up to 8.25 Clock Hours of Continuing Education and expand your peer network as you invest your time in attending this 2 1/2 day conference. Ready to tell us why you want a free pass from Ignite? In partnership with PCMA Chapter East and FMAV, Ignite is giving away two (2) passes to attend PCMA’s Canadian Innovation Conference! The Society of Incentive Travel’s signature annual event is coming to Vancouver!! Meet with incentive industry professionals from around the world at SITE’s signature annual event, with an agenda full of educational sessions, keynotes and speakers, certification opportunities, evening events and celebrations, award ceremonies, tours and more. Ready to tell us why you want a free pass from Ignite? In partnership with FMAV, Ignite is giving away one (1) pass to attend SITE Global Conference! Contest open only to Canadian residents (excluding Quebec) over the age of majority. No purchase necessary. All those who submit a valid entry will be entered in the giveaway. Limit one entry per person, per prize. Contest open from October 1, 2018 at 12:00 a.m. (EST) to August 31, 2019 at 11:59:59 p.m. (EST). One or more “educational pass” prizes are available to be won for each corresponding conference. Approximate value of prizes range from $100.00 to $3,100.00, depending on the value of the registration fee for the applicable conference. Odds of winning depend on the number of valid entries received. Additional terms and conditions apply. For full rules and entry details visit: www.ignitemag.ca/learn_on_us/terms.